faith, piety, and church in general. However, anyone who is familiar with her writing would disagree. This is how the authoress defended herself against her attackers. Brilliant as always, Charlotte Bronte strikes right to the point, and her words sound relevant even hundreds of years later. I first got acquainted with Charlotte Bronte when I was a teenager when I read her most acclaimed novel “Jane Ayre.” But it was not until this summer, when I decided to reread this novel that I got to know Charlotte Bronte as a woman of faith and realized how much wisdom and power hold the written words of this courageous little women. Interestingly enough it was not the novel that sparked my curiosity, but the authoress herself. A quick trip to the pages of Wikipedia teased my interest further and prompted me to look for more information. And what I discovered, not only allowed me to see the novels of Charlotte Bronte in a different light but also strengthened my faith. It encouraged me to keep strong in the midst of trials and to fight for my dreams. This article is just a little peek into the life of this courageous woman. Read on and, who knows, you might be strengthened, and empowered, and encouraged too. Bronte Parsonage. Period Photo. Bronte Parsonage Museum. Charlotte Brontë was born in England to an Irish father and Cornish mother on April 21, 1816. She was described by her contemporaries as a tiny, delicate, serious, little lady, with fair straight hair, and steady eyes. She had irregular features and melancholy expression. She was extremely critical to her own physical appearance and was somewhat shy. Charlotte was the third of the six Bronte children - Mary, Elizabeth, Charlotte, Branwell, Emily, and Anne. Both of the Bronte’s parents, as well as ALL of the siblings, were fond of writing from childhood. The Brontes wrote more words as children than in all of their published adult works put together. 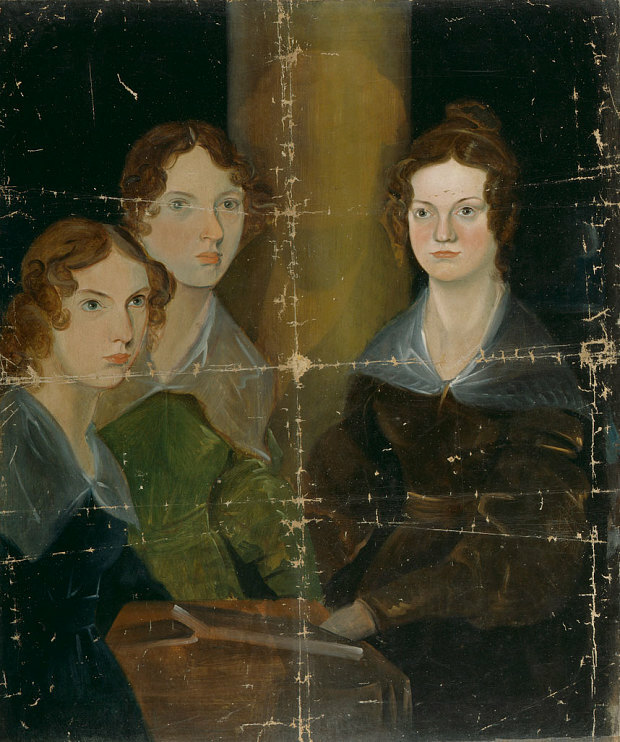 After their two elder sisters died, the surviving Brontë children, Charlotte, Branwell, Emily, and Anne, created the fictional worlds of Angria and Gondal, writing stories, articles, and poems together. It is fascinating that Patrick Bronte, the father of one of the most talented family in the history of literature was actually born in an almost illiteral Irish family. He was the oldest of 10 children and the only one who went through formal education. Much of Charlotte ’s life was marked with tragedy. She lost her mother when she was only five years old. Maria Bronte died from ovarian cancer at the age of 38. This loss was just the first one that Charlotte experienced in her life, among many more to follow. When she was nine years old, Charlotte lost two of her siblings (Mary and Elizabeth) to tuberculosis. At the age of 32, within a one-year period, Charlotte lost all three of her siblings who remained alive. Her brother Branwell died of the alcohol and opioid addiction and two of her sisters (Emily and Anne) of tuberculosis. After their mother's death, Charlotte and her siblings were raised by their aunt Elizabeth Branwell, who moved in with their family after her sister's death. Thus, Bronte children were raised by an old spinster aunt and their eccentric clergymen father, who was always known to have a loaded gun under his pillow and ate all of his meals alone in his bedroom. To avoid gender prejudice, all three Bronte sisters had to publish under the male pseudonyms - Currer (Charlotte), Ellis (Emily) and Acton (Anne) Bell. Charlotte stayed true to her dream of becoming a writer and kept working on her novels in defiance to many physical and mental struggles, her brother's addiction and initial rejection by literary circles. She buried her brother Branwell and two of her sisters, Emily and Anne, while writing her novel “Shirley.” While “Shirley” is not the best of her works and, personally, my least favorite, I will always think of “this novel as the badge of Charlott's incredible stoicism. Charlotte Bronte lived longer than all of her siblings, despite her poor health and frequent bouts of depression. When the authoress was 38 years old, she got married her father's curate Arthur Bell Nicholls. From her private correspondence, we know that Charlotte was very happy in her marriage; happier than she ever remembered herself to be. This happiness, however, was not to last long. Soon after her marriage Charlotte became pregnant and a few months later died of what is now believed to be severe morning sickness. She died on March 31, 1855, only nine months after she was married, less than a month before her 39th birthday at the age of 38, the same age her mother was when she died. And through it ALL she kept her FAITH! But enough with MY words. What I want is to allow the authoress to speak for herself. I invite you to look deep inside Charlotte's Bronte fiery heart as it shines through her writing. "I avoid looking forward or backward, and try to keep looking upward. This is not the time to regret, dread, or weep..."
"I am well aware, it will not do either to complain, or sink, and I strive to do neither. Strength, I hope and trust, will yet be given in proportion to the burden; but the pain of my position is not one likely to lessen with habit. Its solitude and isolation are oppressive circumstances, yet I do not wish for any friends to stay with me; I could not do with any one--not even you--to share the sadness of the house; it would rack me intolerably." "This world is not our abiding-place. We should not knit human ties too close, or clasp human affections too fondly. They must leave us, or we must leave them, one day. God restore health and strength to all who need it!" "These things would be too much, if reason, unsupported by religion, were condemned to bear them alone." "I have learnt that we are not to find solace in our own strength; we must seek it in God's omnipotence. Fortitude is good; but fortitude itself must be shaken under us to teach us how weak we are!" "You certainly have a heavy burden laid on your shoulders, but such burdens, if well borne, benefit the character; only we must take the GREATEST, CLOSEST, MOST WATCHFUL care not to grow proud of our strength, in case we should be enabled to bear up under the trial. That pride, indeed, would be sign of radical weakness. The strength, if strength we have, is certainly never in our own selves; it is given us." "The loss of what we possess nearest and dearest to us in this world, produces an effect upon the character we search out what we have yet left that can support, and, when found, we cling to it with a hold of new-strung tenacity." "Men begin to regard the position of woman in another light than they used to do; and a few men, whose sympathies are fine and whose sense of justice is strong, think and speak of it with a candour that commands my admiration. They say, however-- and, to an extent, truly--that the amelioration of our condition depends on ourselves. Certainly there are evils which our own efforts will best reach; but as certainly there are other evils-- deep-rooted in the foundation of the social system--which no efforts of ours can touch: of which we cannot complain; of which it is advisable not too often to think." "And, besides, in the matter of friendship, I have observed that disappointment here arises chiefly, NOT from liking our friends too well, or thinking of them too highly, but rather from an over-estimate of THEIR liking for and opinion of US; and that if we guard ourselves with sufficient scrupulousness of care from error in this direction, and can be content, and even happy to give more affection than we receive--can make just comparison of circumstances, and be severely accurate in drawing inferences thence, and never let self-love blind our eyes--I think we may manage to get through life with consistency and constancy, unembittered by that misanthropy which springs from revulsion of feeling. All this sounds a little metaphysical, but it is good sense if you consider it. The moral of it is, that if we would build on a sure foundation in friendship, we must love our friends for THEIR sakes rather than for OUR OWN; we must look at their truth to THEMSELVES, full as much as their truth to US"
"Submission, courage, exertion, when practicable--these seem to be the weapons with which we must fight life's long battle." "You shall show them that you too know--better, perhaps, than they--that the truly great man is too sincere in his affections to grudge a sacrifice; too much absorbed in his work to talk loudly about it; too intent on finding the best way to accomplish what he undertakes to think great things of himself--the instrument. And if God places seeming impediments in his way--if his duties sometimes seem to hamper his powers--he feels keenly, perhaps writhes, under the slow torture of hindrance and delay; but if there be a true man's heart in his breast, he can bear, submit, wait patiently." Sign up with your email address to receive occasional blog updates and my ministry news.